Many entrepreneurs don’t disclose everything to their mentors when seeking advice or asking for feedback. That’s why giving advice and mentoring can be a hit and miss situation. I’ve been mentoring dozens of startups in the past two years. About 30% of my time has been spent doing it altruistically, with nothing expected in return. Most of the times, I get good feedback and resonance from the advice I give, but sometimes I don’t, as if I hit a bad note. But that’s ok, as it’s expected. I’m pretty convinced there is some relationship between mentor whiplash and blind spots. If the advice given appears wobbly or not hitting the mark, the entrepreneur will feel disoriented and whiplashed, but imagine the flipside case where an entrepreneur listens to 5 successive mentors, and they all have something impressive to say. The entrepreneur would be very pleased. It is very likely that these last 5 mentors were given the good opportunity to be properly briefed by an entrepreneur who accurately articulated what they were doing prior to being subjected to a mentorship session. A startup has a responsibility to properly share and disclose what they are doing and already know, so that the mentor can provide the right advice with minimal blindspot handicap. Otherwise, the entrepreneur will try to interpret the mentor’s feedback by filling the blanks (around areas they didn’t disclose), and by discounting factors the mentor didn’t know. That doesn’t always work, as you could end-up with distortions mixed with misinterpretations. Dispensing mentorship advice just by looking at a company’s website is a shallow and pretentious exercise. 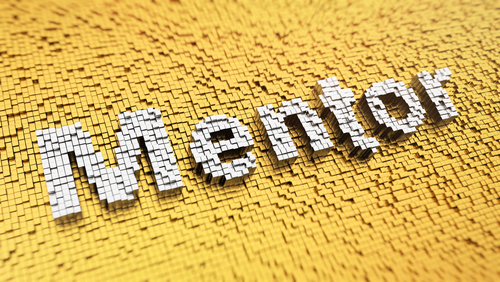 Drive-by mentoring could lead to superficial advice, just because mentors aren’t mind readers, and there is so much information that can be exchanged during a short period of time. I find that I’m better able to provide more pertinent mentoring when there is a continuous exchange of information and an ongoing relationship. That way, I know more about their business, and I have more time to think about their particular situations. Hard problems require a deep dive and some back and forth, and that starts to border an advisory type of relationship. Mentors aren’t stupid. They typically have experience. But suggesting decisions or providing advice with partial information can make anyone look stupid. Same applies to investor updates. If you are open and vulnerable, you might get better advice. Make them feel your pain, and they will help you. If you are guarded and coy, you will get a shoulder shrug, indifference or bad advice. Mentors are not there to steal your ideas. They just want to help (if you let them). Sometimes you’re looking for specific advice on a particularly defined area or subject matter, and don’t care to disclose your entire strategy to a given mentor. That’s OK. In this case, I suggest that you do a good job framing your particular situation with all the relevant facts and information, and tell the mentor you’re looking for specific advice in this narrowly defined area. If you’re operating inside a company, you always insist on complete information to make decisions. As a consultant, you thrive on turning every piece of information in order to suggest possible decision options. But as a mentor, you take stabs, based on what you see, which is as much as the entrepreneur is willing to tell you. As a board member, you’re above a mentor from a disclosure point of view, but the entrepreneur can still snow you if they want to. So, in addition to showing your customary deck to a mentor, or asking them to visit your web site, or try your product, how about spending time upfront framing and describing the problems and challenges you see as thoroughly and methodically as possible. That gives the mentor more data about your issues, and gets them at the same levels as you are in terms of insights and knowledge. If you have 45 minutes with a mentor, that makes most of that time focused on the mentoring, not getting-up to speed. Let’s call this “briefing” your mentor. Imagine if you went to a doctor’s visit and only gave partial information about the issue that’s troubling you, or that you didn’t accurately share your medical history. Of course, doctors run their own tests to figure things out, and the equivalent analogy is that the mentor will be asking questions to figure things out, but there is no blood screening or x-ray equivalent for a startup. You can’t hide a tumor because the x-ray, ultrasound or MRI will find it, but as an entrepreneur you can hide things (intentionally or not), and the mentor or advisor may never know it. This applies even to sending investors update. For example, if your update doesn’t say anything about your product, when you are still iterating it and evolving it with new features, you’re clearly withholding information. When you’re sending a 3 paragraph update, and haven’t mentioned how issues with your payment provider affected your abilities to book new orders, you’re withholding information. When you’re already speaking to 3 short listed new VCs for your next round, and you’re saying in the update that you’ve just started to look for funding and asking for leads, you’re withholding information and misdirecting the kind of help you would need. These are real examples I’ve recently encountered, (I kept the facts generic to mask the identity of the startup), and I know there was more information, because I engage with these startups separately as an investor in their companies. One potential reason I was rationalizing for this, is maybe there was a lack of trust between the entrepreneur and their investors? I can understand that trust can erode sometimes with some investors if the company isn’t doing well, or if there are disagreements. But these were examples from companies that received recent funding (therefore were still in their honeymoon period), and they were doing well. Don’t be an entrepreneur that hides or withholds information from their mentors or investors. If you do, you will get bad advice or indifference. And if you decide to receive mentorship advice, try to brief your mentors properly and efficiently so they have the insights they need to dispense proper advice.